Simplicity and full-flavored recipes are the goal for any meal, but especially during the week. Last week I had been tinkering in the kitchen and picked up the necessary ingredients for one of Julia Child’s The French Chef recipes. And so I found that the next evening, I had nearly a full small carton of sliced mushrooms and a few chicken tenders remaining. Hmm . 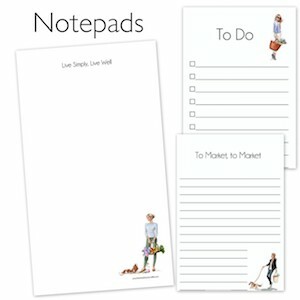 . . what to make, I thought to myself. I look in my cupboards and found what I thought I had – Marsala wine. Aha! I knew what I would be cooking. Chicken Marsala! 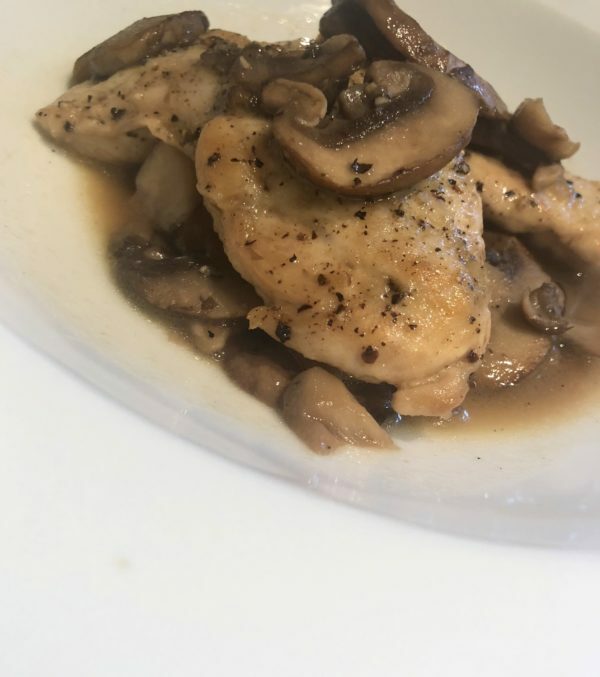 Now, the Chicken Marsala recipe was one of the first recipes I shared on the blog years ago, but with a couple of remodels of the blog’s design, the recipe had been removed for need of updating. And finally it has! One of the simplest recipes to make, but one that sounds as though it is complicated with the fancy name of ‘Marsala’. Today, I would like to encourage you to step back into the kitchen for only twenty minutes and cook this delicious meal. What is Marsala, you may be wondering? Marsala wine is a darker, fortified sweet or savory dessert wine that orginates from Marsala, Sicily (Italy). There are many variations of its sweetness, and dry marsala wine is often the choice for savory dishes such as Chicken Marsala. Traditionally, chicken broth is not used, as the wine’s quality is what you want to stand alone. 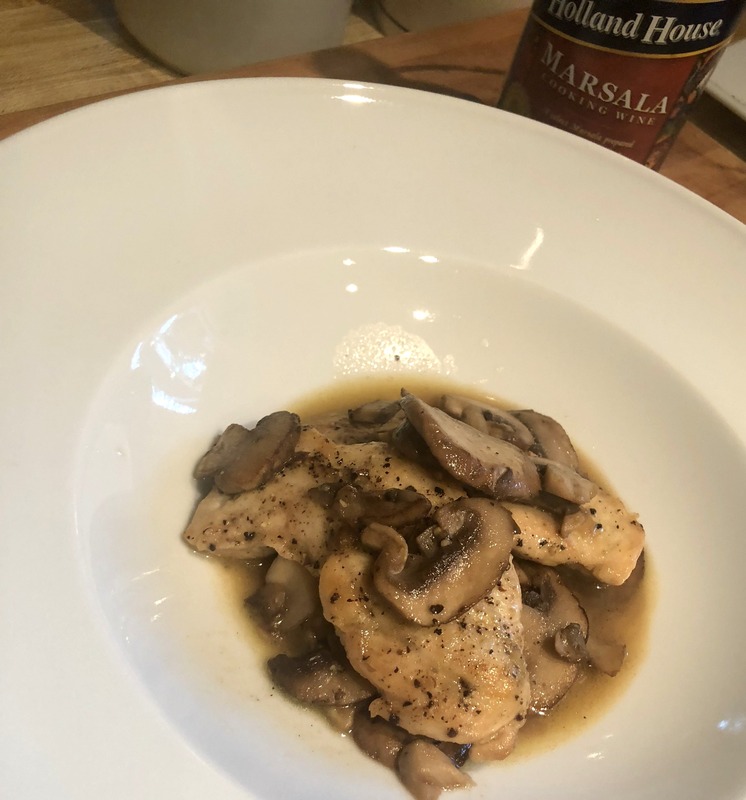 I have included chicken broth, and sometimes sherry wine for the sauce, but if you have chosen a top quality marsala wine, neither additional liquid is necessary. A simple marsala wine can be picked up in the grocery store, but for quality wine, go to your local wine shop. 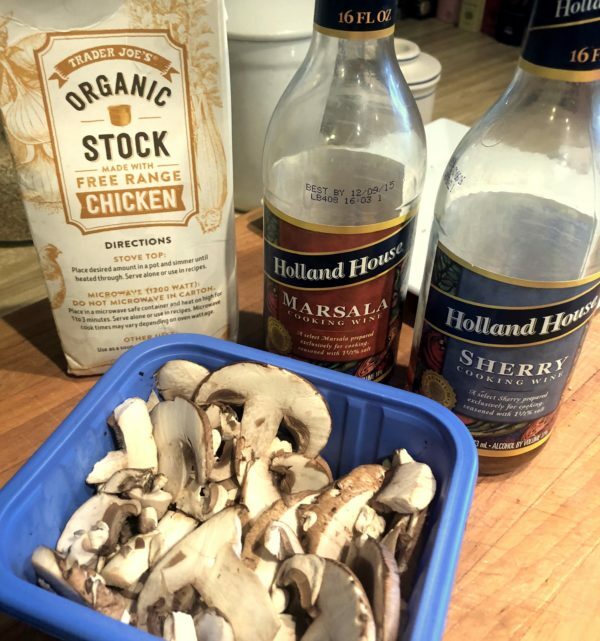 Pairing Chicken Marsala is usually a roasted vegetable dish is the choice in my household. Fresh crusty bread to mop up the extra sauce, as well as rice would be other options as well. Below you will find the recipe, and the ingredients are listed for one serving, but remember, you can easiy adjust (on this recipe) the number of servings and the rest of the recipe automatically adjusts and updates for you. Printing is simple as well once you have chosen the number of servings you want. I have chosen to list chicken tenders, but you can swap with chicken breast. Either way, tenderizing is the key as you begin to cook. 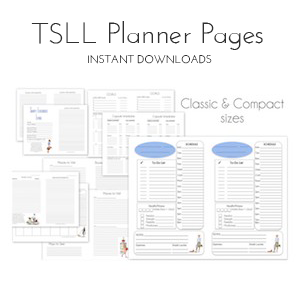 ~View all of TSLL Recipes organized by category here. A full-flavored chicken recipe that will have you enjoying dinner in 20 minutes. Place chicken between two sheets of wax paper. Tenderize the chicken with a mallet (soft side) until about 1/8 inch thick. Season chicken with coarse sea salt and freshly ground black pepper on both sides. Heat up a skillet to medium heat. While the pan is heating up, dredge each chicken tender in flour. Shake off any excess, while making sure the entire chicken tender is coated. Place about 2 tablespoons of oil in the skill. Then place the chicken tenders - cook until lightly brown on both sides (2-3 minutes each side). 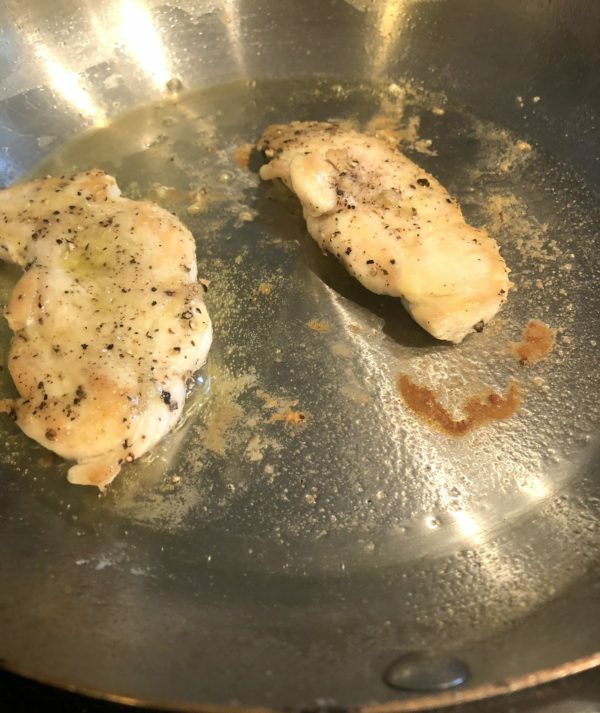 Remove the chicken from the pan. In the same skillet (keep everything as it is - dripping from the chicken, etc.). Add one tablespoon unsalted butter and reduce the skillet to low-medium heat. Add the mushrooms and sautée for about 5 minutes or until the mushrooms are nice and brown and juicy. Season with coarse sea salt and freshly ground pepper. Remove from the stove. Serve chicken and pour the marsala mushroom sauce over the top. Finish with a sprinkle of freshly chopped parsely. Marsala wine is a darker, fortified sweet or savory dessert wine that orginates from Marsala, Sicily (Italy). I am going to make this tonight!!! You had mentioned you like to serve it with roast vegetables. What is your vegetable of choice? 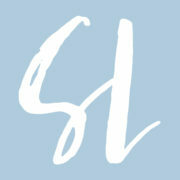 Love your blog and read your posts daily. Thank you for all your ideas, thoughts and insight . Do you use skinless chicken breast (white meat) for this receipe? Can this be done with chicken drumsticks? You can use this sauce with any meat or even vegetable dish you’d like. The drumsticks would be delicious as the bone offers more flavor for the meat. I used skinless chicken tenders. I made this tonight and it is so yummy!!!!! Thank you! I just made this for dinner this evening and am delighted! So tasty and so simple. 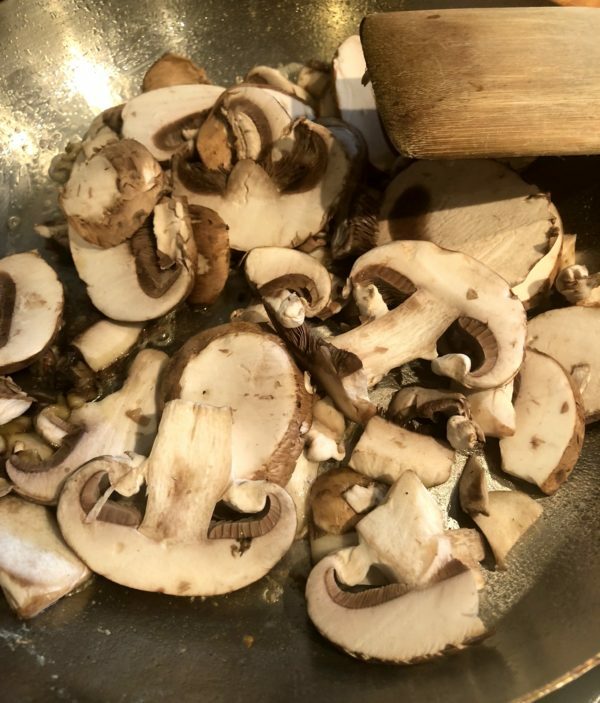 It’s definitely going into my list of fool proof recipes (the best for me 🙂 ) Thanks for sharing! So happy to hear you enjoyed it! Yes, it is soooo simple and full of flavor. Thank you for sharing your experience. Thank you for sharing this delicious recipe! I retired a few months ago and I am trying to improve my cooking skills. This recipe was so easy to follow and tasted wonderful! Yum, yum, yum! Thank you for sharing AND happy retirement!